Click the button below to add the Shepherding the Flock: The Pastoral Epistles of Saint Paul the Apostle to Timothy and Titus to your wish list. St. Paul's epistles to Timothy and Titus contain the apostle's instructions to the pastors under his care about how they, in turn, should care for their flocks in wisdom and love. As the last epistles St. Paul wrote in anticipation of his martyrdom, they remain as a testimony to his pastoral love and as an inspiration for those in the Church, both the shepherds and the flock, to walk in holiness and love themselves. 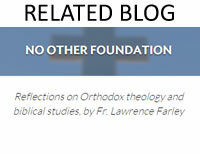 About the Author Archpriest Lawrence Farley is the pastor of St. Herman of Alaska Orthodox Church (OCA) in Langley, B.C., Canada. He received his B.A. from Trinity College, Toronto, and his M.Div. from Wycliffe College, Toronto. A former Anglican priest, he converted to Orthodoxy in 1985 and studied for two years at St. Tikhon’s Orthodox Seminary in Pennsylvania. 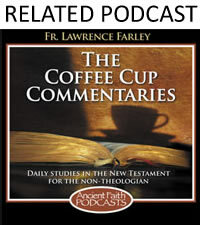 In addition to the Orthodox Bible Companion Series, he has also published Let Us Attend, One Flesh, The Christian Old Testament, Following Egeria, and A Daily Calendar of Saints.